Text Preset Volume I for Animation Kit - After Effects Presets (VideoHive) | Free eBooks Download - EBOOKEE! Posted on 2016-07-21, by manhneovn. 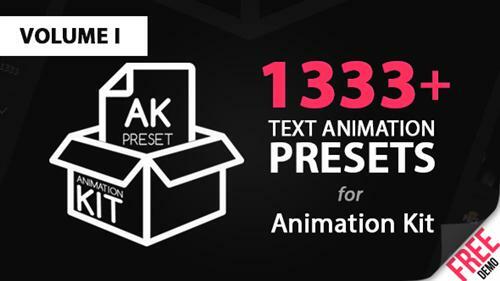 1333+ Animation Presets for text - Text Preset Volume I for Animation Kit! With help our script Animation Kit you can quickly and comfortably applied the presets. With script you can use much more packs with presets (new packs coming soon), control duration with markers IN/OUT, a look at preview the chosen preset in script window and much more. No comments for "Text Preset Volume I for Animation Kit - After Effects Presets (VideoHive)".